Wine lovers from all over the world are heading to the Loire Valley this week for some very impressive tastings. Check the SNCF site for travel times and ticket prices. January 30 & 31(Sunday & Monday) at the Château de Brézé: La Dive Bouteille is hosting the “Roots, Sweet Roots” tasting down in the Troglodyte caves at the Château (dress warmly). Hundreds of the country’s most well-regarded winemakers will be pouring (the full list here). Admission is 10€, and shuttles will be running between the Château and the train station at Saumur (10km). Sunday from 2-7pm and Monday from 10am-6pm. January 28 (Friday) at La Dernière Goutte: a free “2 1/2 Happy Hours” wine tasting with nibbles from 5-7:30pm at 6 rue de Bourbon le Château, 75006. January 29 (Saturday) at Les Caves Taillevent: a free wine tasting from 10am-5pm at 199 rue du Faubourg Saint-Honoré 75008. January 29 (Saturday) at La Dernière Goutte: a free wine tasting from 11am-7pm at 6 rue de Bourbon le Château, 75006. January 27 & 28 (Thursday & Friday) at Spring Restaurant: The “Grand Afternoon Tasting” is a 1.5 hour class in English and will “go over the basics of how to taste wine, introduce you to six different wines from our favorite artisanal producers, and discuss wine and food pairing. Cost: 60€ per person. 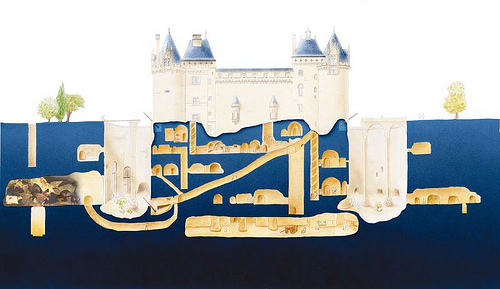 Classes in the 16th-century cave beneath the restaurant at 6 rue Bailleul (1st) begin at 4pm. More information here. Every Day (but Sunday) at Ô Chateau: wine tasting classes in English ranging from French Wine Introductory (30€) to the Grand Crus Tasting (80€). Classes (except the Champagne river cruise) take place at 52 rue de l’Arbre Sec in the 1st.